Our Washington State Cougars Striped Colorblock Top is perfect for tailgating! The colorblock panels and side slits keep this top fun and a must for the season! Not sure about your size? Want to find this item at a local store? Contact us! We'll tell you what we really think! Time to get GAME DAY READY! Show your school spirit in style wearing UG Apparel, a true-to-size missy and plus size collegiate brand! We know that women come in all shapes and sizes, and each of them deserves to be stylish while being spirited. All of our clothes are made in REAL SIZES, because they are for real women! 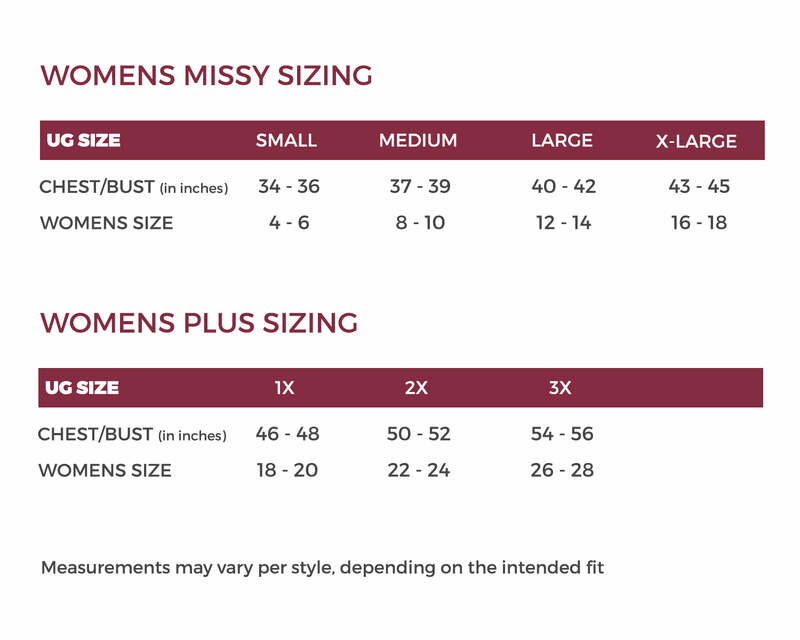 Sizes and styles for every BODY! Let's change the way American designers think about size! Nesha Sanghavi, UG's Owner, named WV's Young Entrepreneur of the Year, 2016!